At the age of 94 and after nearly 80 years as a Viatorian, Father Christopher Marzano died on Thursday, September 29, 1988. His longevity, his vitality, his fidelity and his generosity have been graces for our Province earning a unique place in our legends and annals. 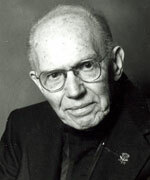 Father Marzano was born in 1894 in Ricigliano, Italy. He made his first profession in the Congregation in 1909 and was ordained to the priesthood in 1921. He was a graduate of St. Viator College and earned his doctorate in chemistry at Catholic University of America in 1925. He taught at St. Viator College from 1925 until 1938, was Secretary to the Provincial and served as Provincial Treasurer for twenty years from 1929 – 1949. He was Assistant Provincial to Fathers O’Mahoney and French from 1938 – 1949. During those difficult years in the economic history of the Province, Father Marzano’s zeal and dedication shaped a stable and solid bulwark for the future security of the Province. In 1948 Father Marzano taught chemistry at Barat College and, after leaving Provincial Administration in 1949, he spent the next twenty-five years in that work. In 1951 he moved to Lewis College in Romeoville, Illinois as Professor of chemistry and as Chairman of the Chemistry Department. During most of those years he also served as Chaplain to the Sisters of Notre Dame de Namur in Chicago. 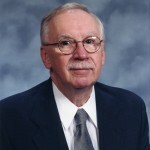 Father lived many years in retirement at Mayslake, Illinois and moved to the Province Center in 1983. Funeral services were held at St. Viator Parish in Chicago: visitation on Sunday, October 2, 1988 from 3:00 p.m. – 9:00 p.m. and the Mass of Christian Burial on Monday, October 3, 1988 at 10:00 a.m. Burial was in Mount Carmel Cemetery in Chicago in a family plot. Please remember Father Marzano in your prayers and, wherever possible, gather in community to celebrate Mass in his memory. Taken from letter to the Viatorian Community on Sep 30, 1988 from the Provincial, Rev. Patrick W. Render, CSV.